Funghi sott’olio (because everything sounds better in Italian). Also known as beautiful, meaty and chewy mushrooms marinated in a zesty mixture. How does one get marinated mushrooms right, you ask? 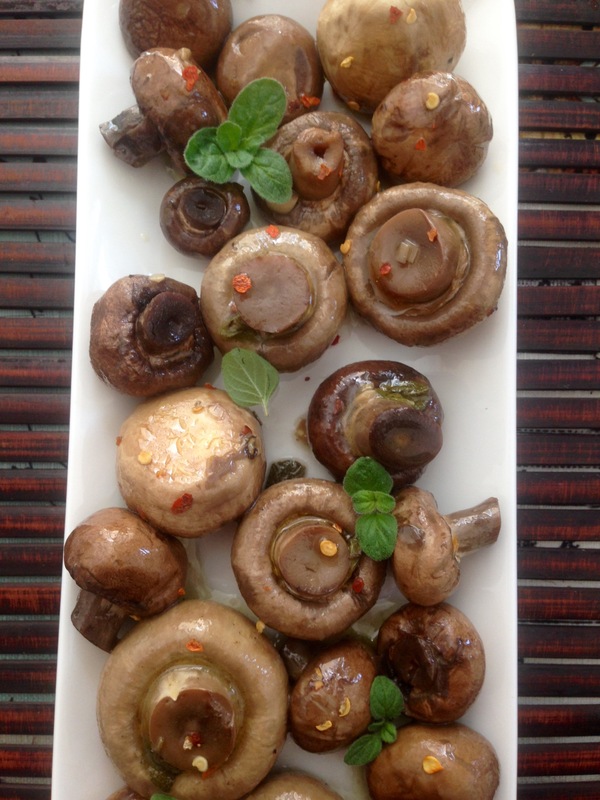 Remove the water from the mushrooms by boiling them in vinegar and oil and drying them a touch, prior to submerging them in oil. Note that the longer they sit in the marinade, the better the flavour gets. Truth be told, I actually didn’t like mushrooms when I was a youngster. Or should I say, I was terrified of eating them. 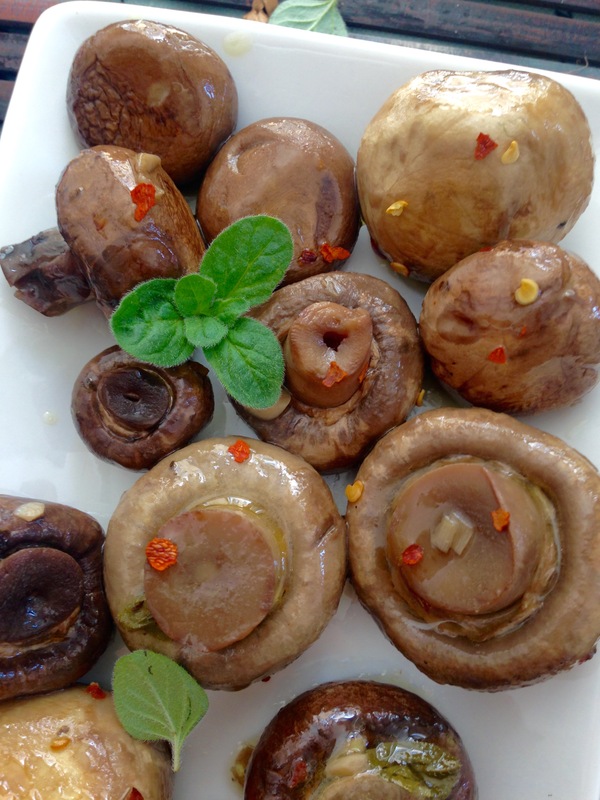 I became squeamish at the mere sight of mushrooms on a pizza or in a stew as I feared the “mushroom pickers” could pick the wrong mushrooms and that non-edible poisonous mushrooms would end up on the plate in front of me. With time, my unfounded trust issues involving the mushroom pickers resolved and my love affair with edible fungus began. Truth be told again, I’m thankful I came to acquire the taste, as mushrooms have a whole lot of nutrition to offer up. Wash and clean mushrooms. If mushrooms are relatively large, cut into quarters if you wish. If they are small, I recommend leaving them whole. 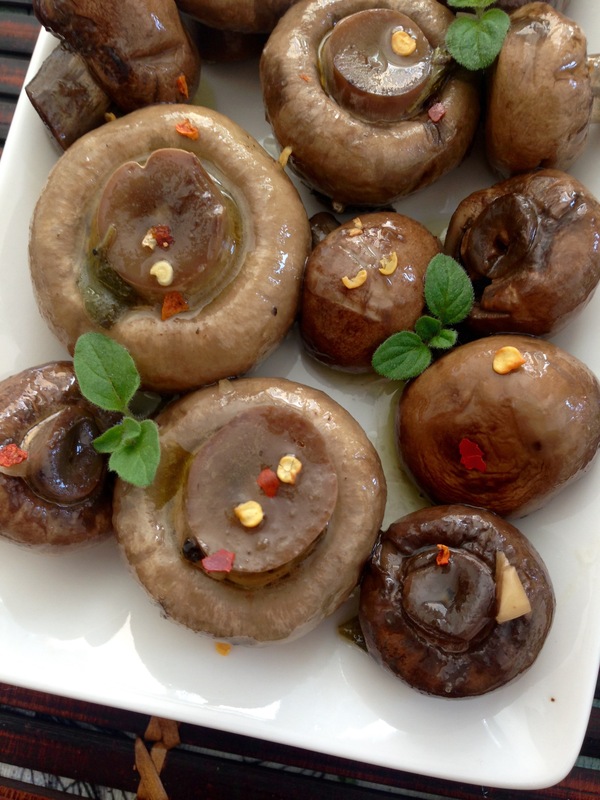 In a pan, cook mushrooms in olive oil, vinegar and salt. Combine these ingredients with those remaining in a medium-sized bowl, making sure to keep the liquid from the pan. Cover. Serve as an antipasto course. Holy eff. These are too good.